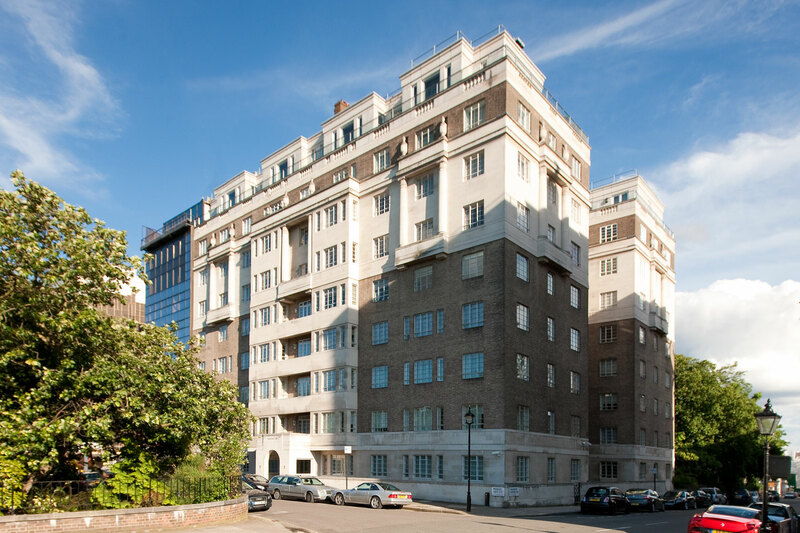 ÜberRaum have been contracted to re-fit a grand apartment in a beautiful Art Deco block on Prince’s Gate, South Kensington, overlooking Hyde Park. The new design will introduce contemporary fittings and finishes enhancing the early 20th century setting. ÜberRaum have designed bespoke joinery for the Royal Thai Embassy’s Consular section in London, which brings the warmth and richness of traditional Thai furniture and interiors to a contemporary setting. We are very excited to see the first pieces of golden-coloured joinery and walnut veneered timber coming together in the joinery workshop. 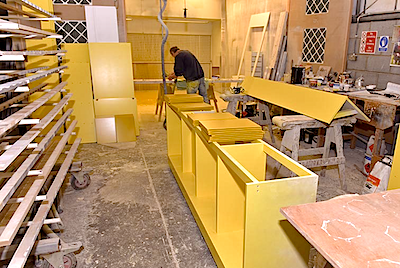 The Visa and Passport desks will consist of a walnut frontage, complemented by a warm yellow backdrop of document shelving, which come together to lend visual depth to the design.